Are you looking for a breakfast café ? Here is the breakfast restaurant game for you. 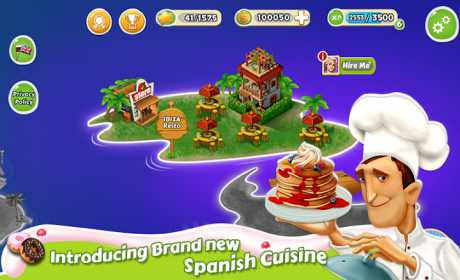 In this cooking game cook delicious meals and breakfast in your café and be the best chef and be a best tycoon in town. Practice your cooking skills and be a perfect chef in this cooking game and write your story of chef cooking game. Be the best restaurant owner and ask your waiters to serve fast in your cafeteria and upgrade your bakery shop like dishes and cooking stuff in kitchen. Take command of the kitchen and demonstrate the skills of a master chef. Start with toast, butter toast , jam toast , salad toast , pudding, cake , cookie , omelets (sausages , vegetables , ketchup) , muffin ,cup cake ,donuts ,boiled eggs etc and work your way to becoming the best known restaurant tycoon in the city! Make a perfect use of toaster, coffee dispenser , tea dispenser , omelette fry pan , juice dispenser and other kitchen appliances . you can shop in store to upgrade all cooking items and appliances. Collect tons of tips for excellent service and make those profits! 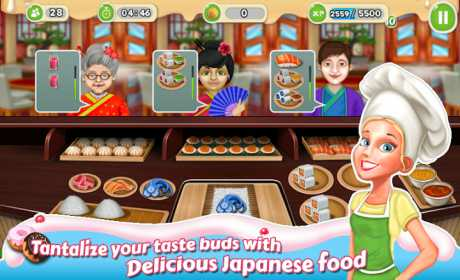 In this 2016 cooking game you will get everything that you are looking in a kitchen game or restaurant game. You can cook for multiple customers at a single time to improve your cooking skills within your café or restaurant. So get ready to create your own story of success in your restaurant. Indulge yourself in an all new kitchen story of street food time management and cooking tycoon game. The fast food fever is back especially for the home chefs, it’s more than fun to take orders from the happy street customers. Keep the burgers grilling and the hungry patrons smiling as you earn money to take your restaurant business nation-wide! Enjoy classic time management game play and fast paced challenges featuring colorful characters and sizzling sounds. * Unique locations to cook Fast toast, butter toast , jam toast , salad toast , pudding, cake , cookie , omelets (sausages , vegetables , ketchup) , muffin ,cup cake ,donuts ,boiled eggs and a lot more. 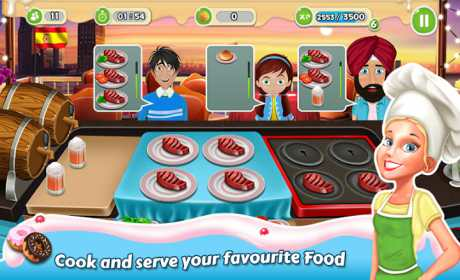 *Upgrade kitchen and food item in this cooking game to cook and serve faster. *Unlock more difficult levels as you proceed towards perfection of cooking in your restaurant.